The Human Rights Act 1998 exists not simply to protect you in the more serious situations that involve matters such as torture and persecution. This Act incorporates your rights as an ordinary citizen going about your day to day business. This includes your freedom of speech, your religious beliefs and practising them, your rights to a fair trial should court action be taken against you, and other similar basic rights that you have in everyday life. They are not absolute, however, and the government does have the necessary power to restrict and control certain elements contained within the Act where it is necessary to do so. This might include cases where, for example, in the interests of national security your freedom of speech might be limited, or your limits on privacy might be removed in situations where you might have your phone tapped if the government or the police felt you posed a threat to national security, or that you were using a phone as a means of communication for the purpose of committing a crime. In addition to protecting your own human rights, the Human Rights Act 1998 also makes it mandatory for you to respect the rights of other people and to exercise your rights in a manner in which you would not be preventing others from exercising theirs. If you feel that you are being prevented from exercising any of these basic human rights or the others contained within the Act, you have the right to a solution by law, even if you feel your rights have been violated by a person or organisation in authority, such as the police. However, in the vast majority of cases, any fundamental disagreement you might have with regards to your ability to exercise your human rights can often be resolved quite amicably between the parties concerned or with the Help Of Mediation Services. 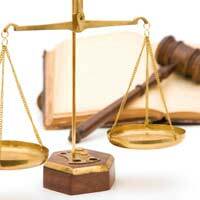 Nevertheless, in cases where no agreement or resolution can be reached, you are entitled to take your case further. This may be either to a court or to some kind of appropriate tribunal, whichever is the most appropriate. Before taking your case further and issuing any court proceedings, however, it is recommended that you seek legal advice. Your local Citizens Advice Bureau or Community Legal Advice centre can advise you on these matters and, in accordance with the Act, advice needs to be provided to citizens of the UK in their native language if they do not have a sufficient command of English. It is important to remember, however, that in certain circumstances, there may be very legitimate reasons for denying some of the elements contained within the Act and to be sure of the legal implications in terms of how you have interpreted the law by Consulting With A Legal Expert first. i am in gay relationship, we just come back from holiday abroad to our home being surrounded by cctv. they have placed a camera in our garden apparently looking at her shed which is under her stairs on our back door wall. the camera looks like it is pointing down at our back door.she has also put one above her front door looking down at our front door as she is above us. then she put one at the front of the block looking over the green pointing towards her car.the only one legit is the one looking up her garden.the Wolverhampton police have done nothing except close the file.she is clearly breaching our privacy, they have been verbally abusing us as well. wait and see what the police say about that on Saturday but thats taken 8 days considering i 999 it when i reported. she clearly is breach human rights and cctv code of practice. and surveillance camera commissioner what can i do i feel im not getting the support from my police or council ? Talk to the Age Concern organisation first of all. Ask them who can view the footage and whyCCTV is there etc. If you're worried about privacy talk to yourlocal community policing team. Sir/Madam, May I know where I should complaint about members of the managing committee of my society as they have installed cctv exactly face to our residencial door.Is it permissible to installed cctv inside the society?is it permissible for society to install cctv camera face to residential door. I have been trying to sell my house this year for a realistic amount.However although potential buyers love my house and garden they will not put an offer in with my neighbours scrap car in the garden which my upstairs window overlooks.I managed to get one of these potential buyers to put that in writing.The neighbour with the scrap car refuses to move it or cover it up and it is an eyesore.Any advice would be appreciated. I have a six foot fence but that doesn't hide it and if I try to grow anything tall to hide it he just sprays it to kill it. If your neighbour installs CCTV, camersa must be located in such a way that they are not positioned facing anyone's property buty his own. You can ask the local police to come rounds and take a look at the cameras...they canask him to re-position them if they think your privcay is being infringed. I currently work in a cctv control room in a high profile tourist attraction in London. My manager has installed a cctv camera in the control room to observe the operator and systems at work. He has informed us that this is to conform with British standards and has this camera fed back to his mobile phone. What are your views and is this OK.
We're not sure on this one. It's probably easier for you to contact the Information Commissioner's Office directly. I live in a housing association block of four flats. CCTV/sound monitoring was installed in 2015, on the landing at the top of the communal hall; between the two top flats. The CCTV sound monitoring equipment is located in a cupboard right next to my front door. The CCTV was installed to prevent crime & antisocial behaviour. However, on requesting subject access data from my housing in September 2016, I learnt Housing have been using the CCTV to collect data on my wife when she leaves & returns home. She suffers from PTSD & anxiety. Does not leave home very often & never alone. I was really angry when I read this in the SAR info. Housing have failed/declined to answer why this information was collected.This is against why the CCTV was put into the communal hall. It should not be used to spy on a individual person this way!Please could you give me some advice what I should do. Many thanks. The Information Commissioner's Office has a template letter that you can use to raise your concerns with the landlord. You can also complain directly to the ICO if you believe your landlord to be in breach of the data protection regulations; again, their website gives you a guide on how to do this. I live in a housing association block of four flats. CCTV/sound monitoring was installed in 2015, on the landing at the top of the communal hall; between the two top flats. The CCTV sound monitoring equipment is located in a cupboard right next to my front door. The CCTV was installed to prevent crime & antisocial behaviour. However, on requesting subject access data from my housing in September 2016, I learnt Housing have been using the CCTV to collect data on my wife when she leaves & returns home. She suffers from PTSD & anxiety. Does not leave home very often & never alone. I was really angry when I read this in the SAR info. Housing have failed/declined to answer why this information was collected. This is against why the CCTV was put into the communal hall. It should not be used to spy on a individual person this way! Please could you give me some advice what i should do. Many thanks. My landlord has recently fitted CCTV to the six tennant house I live in. Whilst this is good for prevention and piece of mind, I am concerned that a particular tennant is reporting personal goings on to my landlord about my private life. For example, when I bring visitors back to stay over. It was clearly stated that we can have visitors so this should not be a problem.Where do I stand, knowing that this tennant checks the CCTV regularly just to see what myself and other tennants are doing and reports back to the landlord?This is making myself and others feel very uncomfortable. We have a neighbour who lives directly opposite us who has just had a 360 ball camera installed at the top of his property. This looks straight into my bedroom window, over looks my front door, my front living room window, my car, my garden. I have 2 young children and I'm very concerned! What can be done? My privacy is being invaded. I have spoken to the local police and they have confirmed there has been no criminal activity in our street, therefore I'm questioning why he has installed this! We live in a new build property, with a small garden. My neighbour has put up a huge climbing frame over 2.5meters high. The council planning department assessed it and advised it is not subject to planning permission as it is a climbing frame. I'm not against climbing frames but it is huge the children can not only stand there and look in my garden they can watch me in my kitchen and dining room. There is no escape. Aren't you entitled to privacy in your own home and garden. You can erect your own fence of up to 2.2 metres and of course there's nothing really to prevent you from growing trees or bushes to help create more privacy. Check out with your housing association, they should be able to let you see their CCTV policy, so you know who has access and what is being filmed etc. We live on private property on the ground floor. My neighbour above is spying on my family inc. My 11 yr old son. All the other neighbours know she is a busy body who confronts the binmen, window cleaners etc. Now she has stooped to taking photographs of us and other people. She told community constable it was because we had a dog an our rules say no animals. We were minding the dog at the time. I am very unhappy about the spying and the pictures. What can I do? @Maddi. There is more information on this in these two articles: Neighbour's CCTV cameras and CCTV, Privacy and the Law. My In-Laws are having a bad time with there neighbors. Currently the neighbors CCTV camera is pointing into there property and we have contacted the police about this. They have seen the camera and have agreed its invaliding there privacy. They have spoken to the neighbors regarding this to re position the camera but yet 6 weeks down the line the camera is still invading my in laws property. After numbers phones calls back to and forth to the police the camera is still there!!!!!!!!!!!. Oh the police say if they do not remove it we should go to the council???? If we thought this was a council matter go to the police first?? If this is not removed ASAP I am going higher and going to the press in regards to an old couple who has done nothing wrong!!!! This is a police matter!!!! Would you like to a camera watching you walking out of your back door? ?Please Help as this is upsetting an elderly couple. I live in a council house which was originally sheltered housing so is all on ground level. My bathroom window is in his garden which is bigger than mine. I am concerned about my privacy when he is in his garden as you can hear everything in the bathroom. Can I ask for the garden boundary to be moved to include window on my property? @kerryoo. You should talk with your council's planning department about this, there should have been some conditions in place when the change of use was granted.